Kristin Newman, author of What I Was Doing While You Were Breeding, shares her favourite ways to spend a day near Four Seasons destinations from Los Angeles to Chiang Mai. 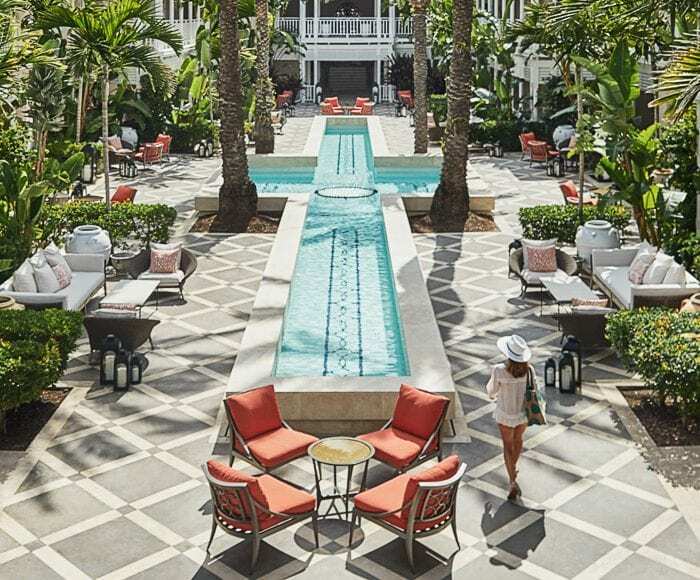 No one enjoys a day inside a beautiful hotel more than I do, but you can’t come home from your trip with nothing but stories about the signature cocktails at the bar. To mix things up a bit, here are four of the most unusual day trips I’ve taken from some of my favourite Four Seasons destinations. And don’t worry—when you return in the evening after your day of adventure, that cocktail will still taste great. 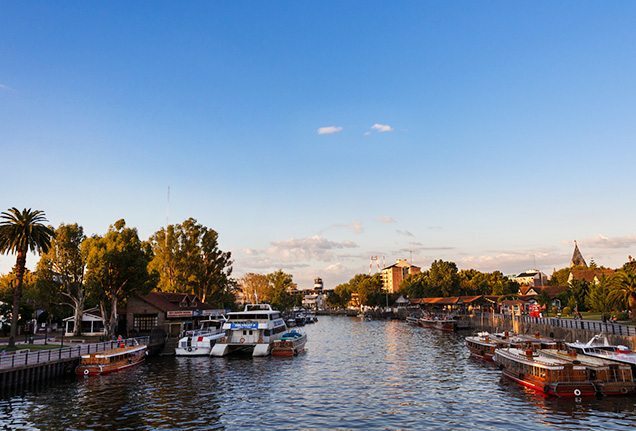 Just north of Buenos Aires is Tigre, a picturesque delta town situated among rivers and canals that is famous for its weekend floating produce market. It’s easy to forget that Buenos Aires is a river city, but an hour-long train ride north of Buenos Aires brings you to the delta town of Tigre, renowned for its weekend floating produce market. Stroll around, shopping for flowers and fruit offered by growers who motor down the river from their farms deeper in the region, or take a boat tour around the swampy, beautiful inlets to see yacht clubs, swanky porteño weekend vacation homes and simple houses filled with fishing kids who will wave as you motor past. If you want to venture further, a two-hour boat ride from Tigre reaches the island of Martín García. Once a military outpost, and then a penal colony where Juan Perón spent a few days after his arrest, the island is now a National Historical Monument and Flora and Fauna Reserve, where crumbling pieces of history mix with beautiful delta forest and creatures. 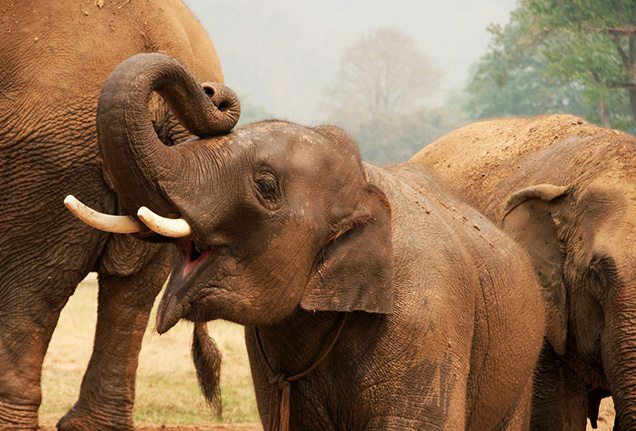 At Elephant Nature Park, an hour away from Chiang Mai, watch, feed and play with these gentle giants for an unforgettable experience. Chiang Mai is a bustling city that could very well have drawn you for many reasons, but there’s no way you planned a trip here without wanting to see elephants. An incredible rescue preserve called the Elephant Nature Park is located about an hour north of town in the green mountains of Northern Thailand. Here, elephants rescued from horrific conditions are left to wander—unridden and unbothered—in a gorgeous natural valley. You get to feed them, kiss them, and, when they decide to wander down to the perfect river flowing through the whole place, follow them in and bathe them. Be careful: If you’re like me, you will fall in love and give this wonderful place all of your money. 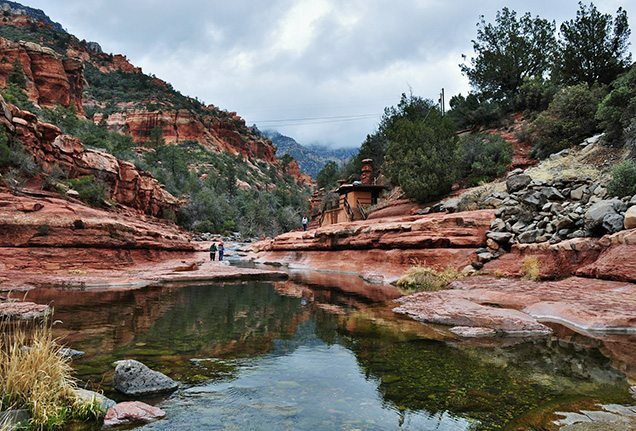 On a family visit to Scottsdale, be sure to take time to drive north to Slide Rock, where kids and adults alike will love slipping over the wet red sandstone. Two hours north of Scottsdale is Slide Rock—a natural water slide that looks as if it were manufactured by a theme-park designer. Neatly carved by clear water through the red, soft sandstone is a person-wide, angled slide covered in just enough algae to be fantastically slippery and yet still not gross. The sandstone banks on either side are flat and smooth, ideal for sunbathing. Crawl out of the chilly water and lie under the blue sky on the sun-warmed sandstone, and remember days spent as a kid warming up on the hot summer concrete by the pool. It’s only a two-hour drive from Beverly Hills to Joshua Tree National Park, which covers three of California’s ecoregions and boasts more than 800,000 acres (323,749 hectares) for exploring. You’ve done the Venice boardwalk and Rodeo Drive. 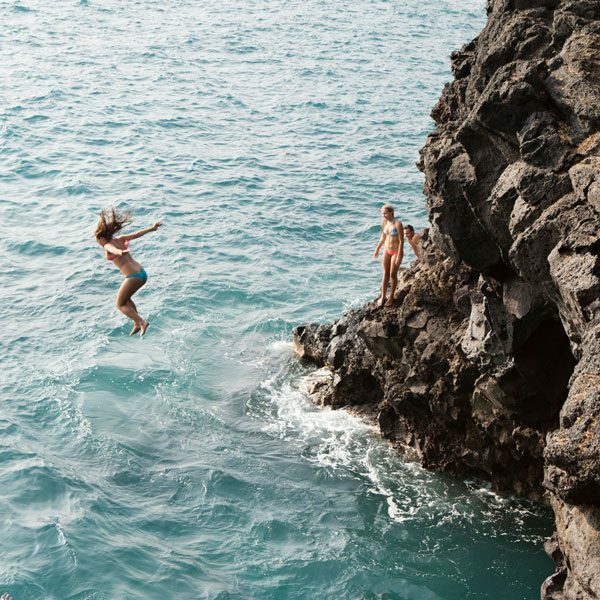 Today you’re going to experience a quirkier side of California. 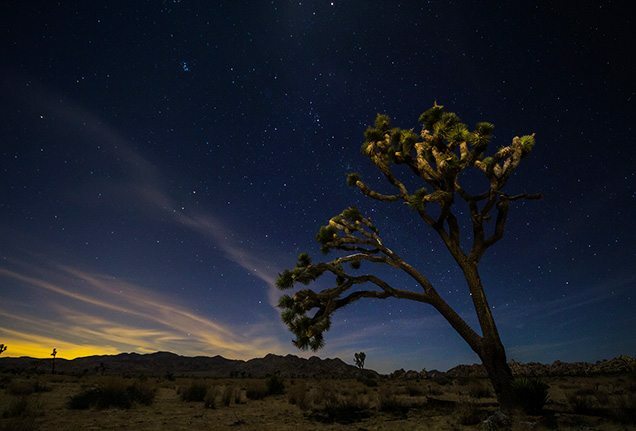 Two hours east of Beverly Hills is Joshua Tree, a desert national park famous for its signature cactus tree that looked to early Mormon settlers like Joshua holding his arms up to the Lord in prayer. First, go to the nearby Integratron for your sound bath. Built in the 1950s by Hughes Aircraft Inspector George van Tassel after alleged alien communication, this wooden dome was supposed to refresh the human body and spirit. But the acoustic qualities of the building have led to its use as a recording studio for bands such as the Arctic Monkeys, and as an excellent spot for a truly rejuvenating retreat. You’ll lie on mats for what the Integratron website calls “kindergarten nap time for grown-ups,” while a woman rubs an array of quartz bowls, creating sounds that she claims are massaging and cleaning your filthy chakras. At the very least, the beautiful and calming sounds of the ringing bowls will make every organ in your body vibrate. One warning: The acoustics are perfect, so your snores will really travel. After your chakras are clean, head west a few miles down a designated California Scenic Drive to Pioneertown, a relic originally built as a live-in Old West set for movies that have been filmed here since the 1940s. Today, take a stroll down an old-timey desert street, lined with fake storefronts and found-art installations of weathered school desks and ancient typewriters set in gardens of broken coloured glass and ’50s children’s toys. Along with other cowpeople, bikers and artists, mosey into Pappy and Harriet’s Pioneertown Palace—a former cantina set and outlaw biker burrito bar turned barbecue haven and indie-music den—for a beer, a sandwich and maybe a show. Robert Plant and Vampire Weekend play here, as well as local family bands. Toto, you’re not in Beverly Hills any more. 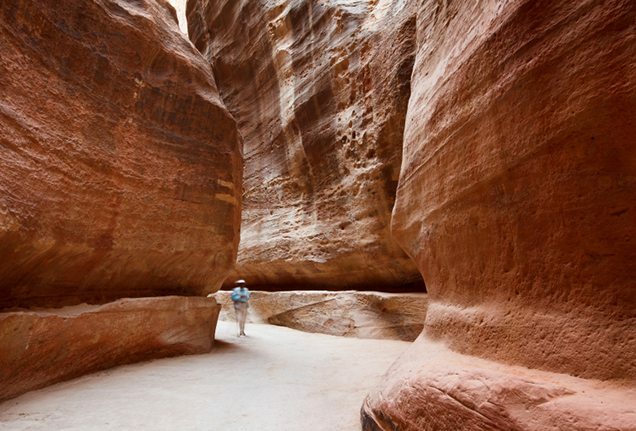 The entrance to Petra rests at the end of the Siq, a narrow gorge surrounded by stone cliffs. Reaching 80 metres (263 feet) high, these striking walls kept the city hidden for more than five centuries. Part of Petra’s preservation is due to the fact that many of its main structures were carved out of the mountainsides. Dating back to Nabataean rule, about 2,000 years ago, the impressive Monastery (Ad-Deir) towers 45 metres (148 feet) tall. 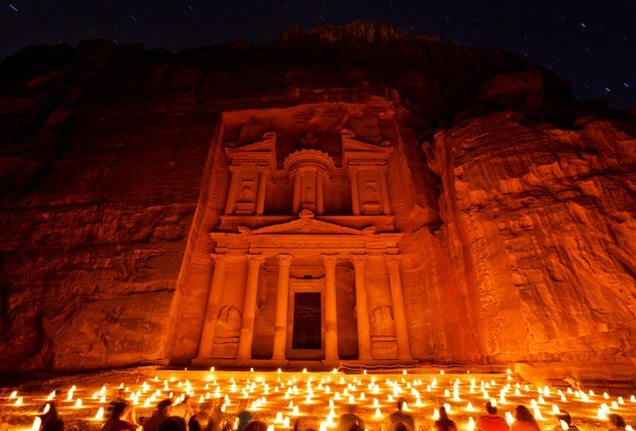 Originally a gathering site for Nabataean traders, Petra soon evolved into an international hub of culture and commerce. 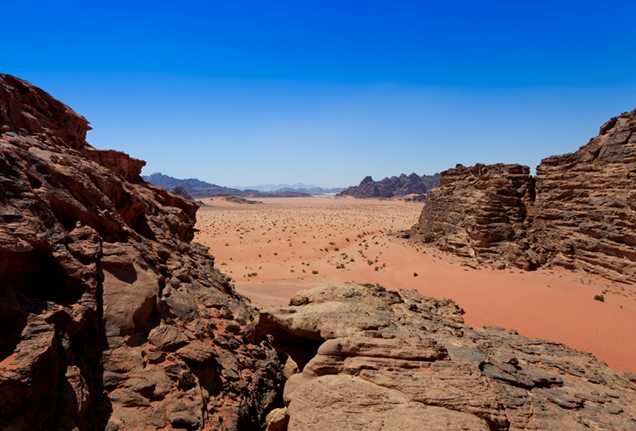 The Nabataeans’ keen knowledge of the desert and strategically placed settlements that provided water and shelter—which they shared with foreign traders in exchange for toll fees and customs taxes—helped establish the city as an important crossroads of trade. After travelling through the 1.5-kilometre Siq, your first dramatic glimpse of Petra is of the building known as the Treasury (Al-Khazneh). Standing 43 metres (141 feet) high and carved out of solid rock, this awe-inspiring edifice was most likely built in the first century BC; it is generally believed to have served as a royal tomb or temple rather than a treasury. 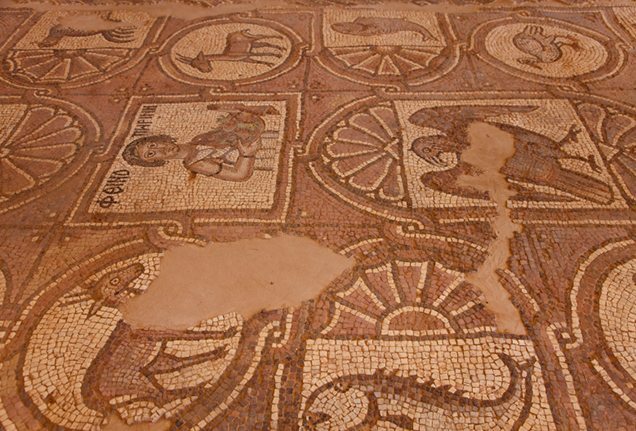 Petra Church and its intricate mosaic detail can be traced back roughly 15 centuries to the city’s time under Byzantine rule. Discovered in 1990, the church is one of the site’s most recently excavated finds. Standing before the Treasury’s façade, you can’t help but marvel at the care that went into the detailed decoration of the columns. Even though some of the sculptures are naturally weathered, the majesty of this once great city is still evident in ruins such as this. 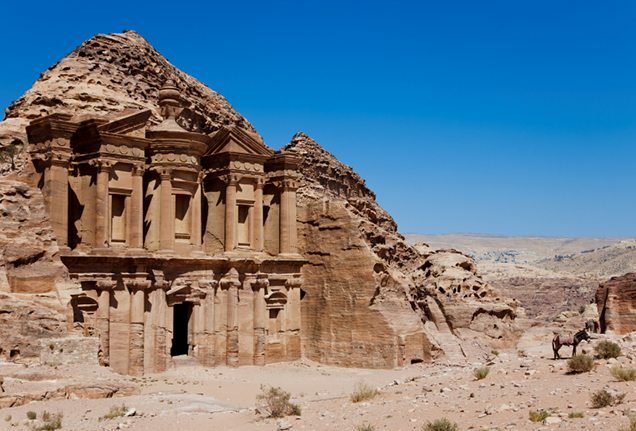 Unmarked on modern maps and unseen by outsiders for more than 500 years, ancient Petra was rediscovered in the 19th century, fuelling much wonder and excitement about the lost city’s mysterious past. The remains of this once-flourishing trade centre, named one of the New 7 Wonders of the World, are now among Jordan’s most spectacular sites. 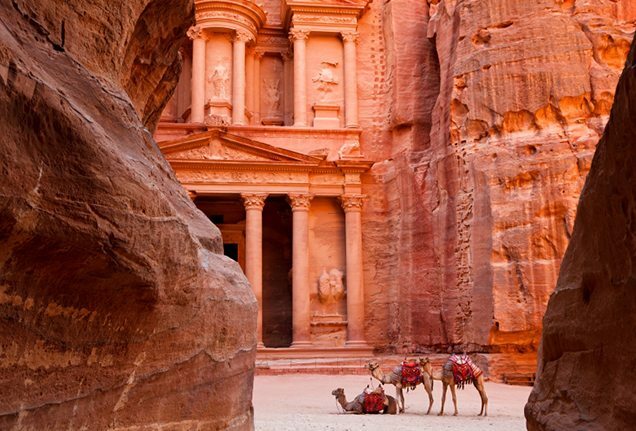 As archaeologists continue to uncover the city’s secrets, Petra’s spectacular history—from its Nabataean origins to its Roman and later Byzantine rule—is revealed to adventurers and history buffs alike. The idea of finding a lost city has fascinated humans for centuries, and walking down the winding Siq that leads into Petra will make you feel as though you are somehow discovering it for yourself. As you approach through the narrow gorge, catch glimpses of carved monuments that prove to be truly grand in scope. 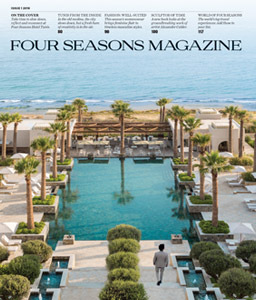 Just a few hours’ drive away in Jordan’s capital city, Four Seasons Hotel Amman is the ideal jumping-off point for a visit to Petra—an experience that you won’t soon forget. 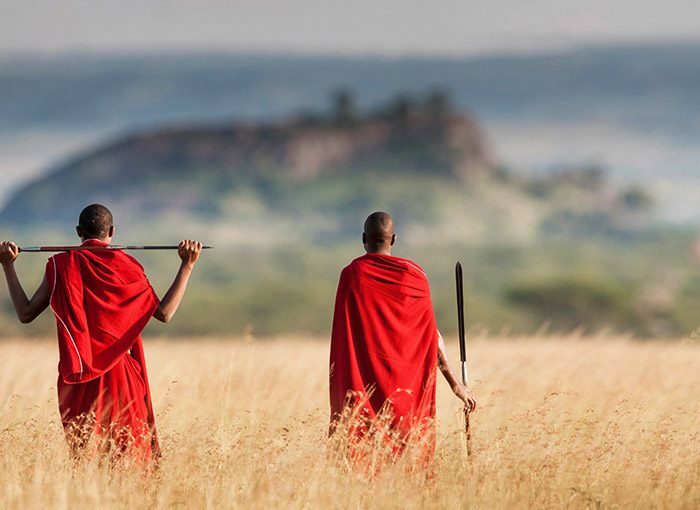 From the bush to the beach, this unique itinerary delivers the best of Eastern Africa. 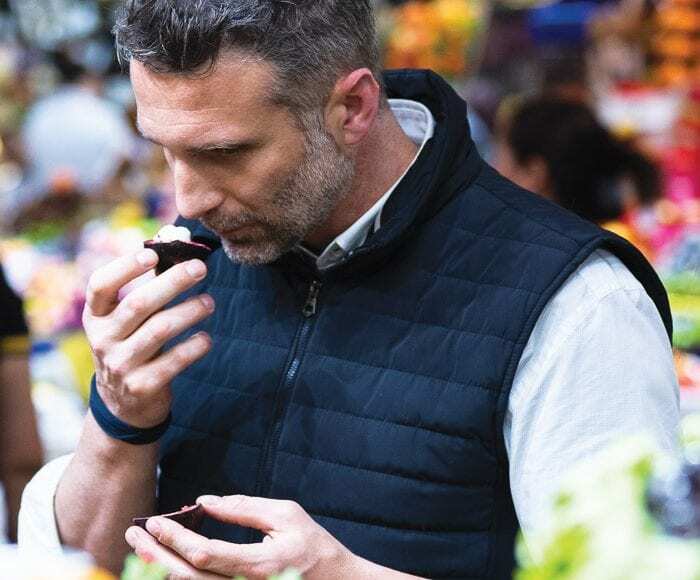 Executive Chef Paolo Lavezzini of Four Seasons São Paulo on the inspiration behind his menu and the spots he frequents in his home city.